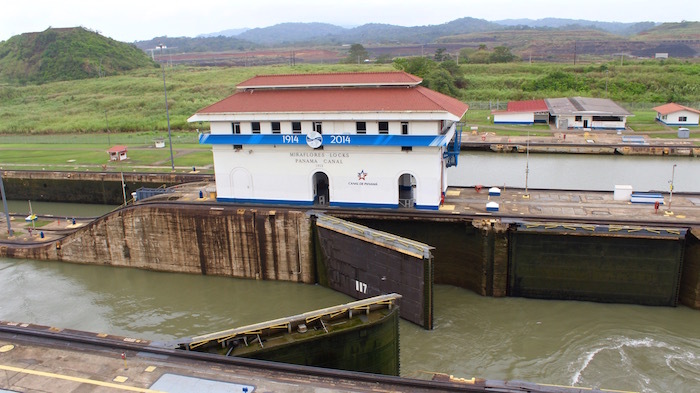 A trip to Panama wouldn’t be complete without visiting the Panama Canal at the Miraflores Locks! It would be like going to Sydney without seeing the Opera House, avoiding the Eiffel Tower in Paris or skipping the pyramids in Cairo. 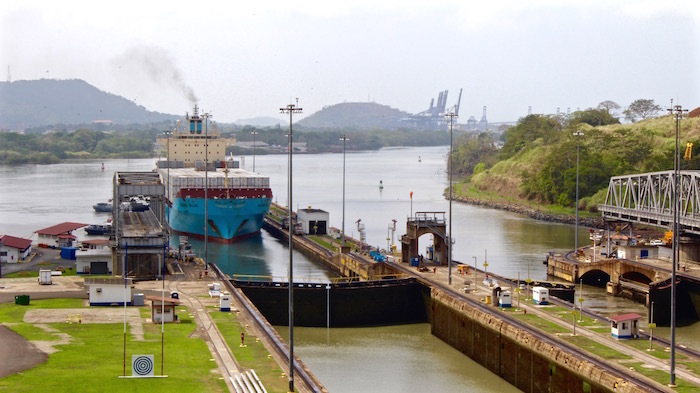 Witnessing the Panama Canal in action – connecting the Pacific and Atlantic Oceans through the Isthmus of Panama – is a mind-blowing display of human engineering at it’s finest. 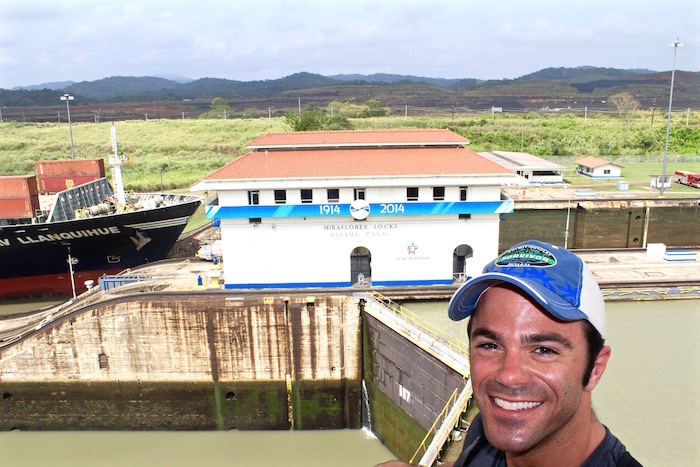 Fun Fact – A man, a plan, a canal – Panama! I had never heard of this palindrome (a phrase that reads the same forward and backwards) until @mikegabbert posted it on my Instagram of the canal! From Panama City there are two main ways to get to the canal. 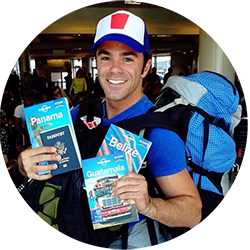 The cheapest option is traveling by bus from the Albrook Bus Terminal to Miraflores on the Gamboa or Paraiso. If you prefer a taxi, it should cost less than $20, but agree on the price before going to avoid getting ripped off. 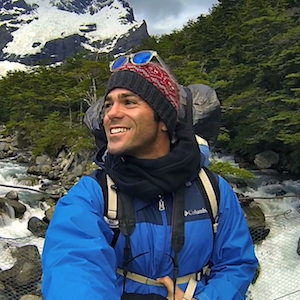 I split a taxi with three other backpackers and arrived by 8:45am to avoid crowds. 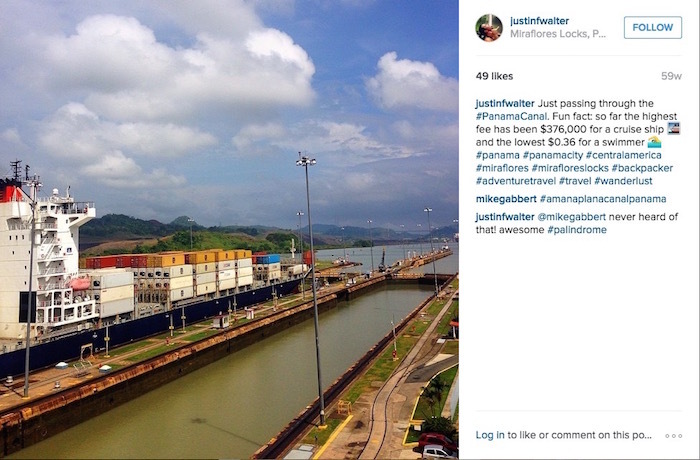 Watching the Panama Canal in person is FASCINATING! Travel Tip – Operating hours are 9:00am to 5:00pm. Go early to avoid crowds! The best times to see big ships are 9:00am to 11:30am and 3:00pm to 5:00pm. Roughly 14,000 ships pass through each year bringing in over $2 billion in revenue. 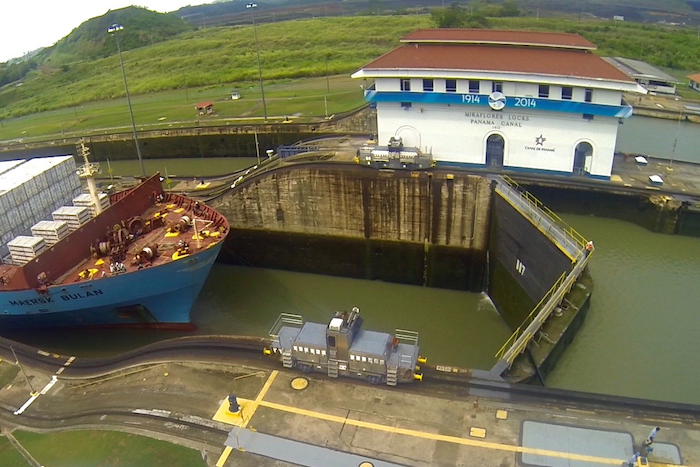 Ships from around the world are specifically built to fit through the 110-foot wide locks. The canal is 51 miles long and saves ships nearly 7,900 miles of travel around South America. Ships pay based on their weight; The average fee is around $30,000 with the largest ships paying over $300,000. The cheapest fee of $0.36 was paid by American adventurer Richard Halliburton who swam through the canal in 1928. A third set of new locks is currently under construction for $5.2 billion dollars and locks will be 60% wider and 40% longer. 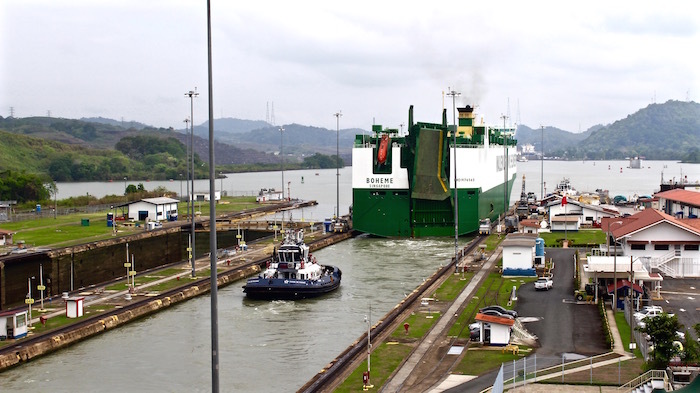 After visiting the Panama Canal at the Miraflores Locks I would recommend taking a trip to the Amador Causeway at the southern entrance of the Panama Canal. 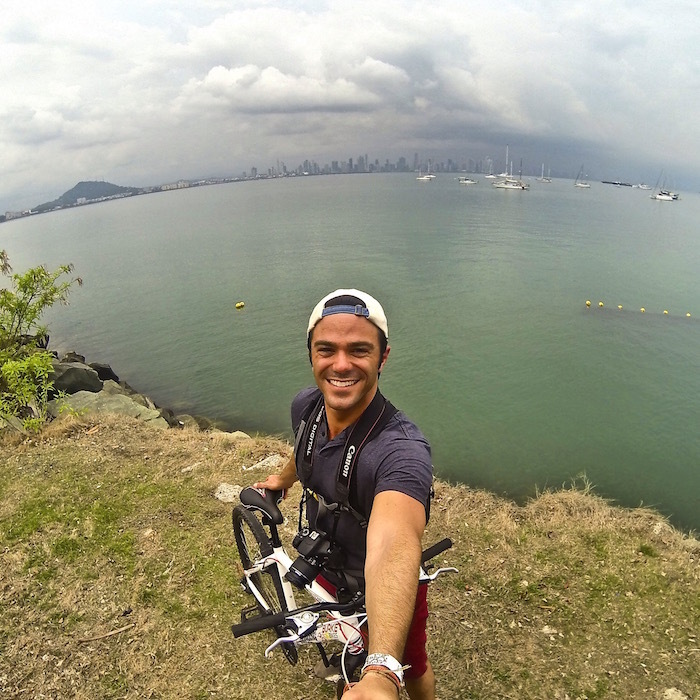 This road connects Panama City to four small islands and is a great spot to grab a meal, rent bikes to enjoy stunning views of the city skyline and watch ships begin their journey through the canal. 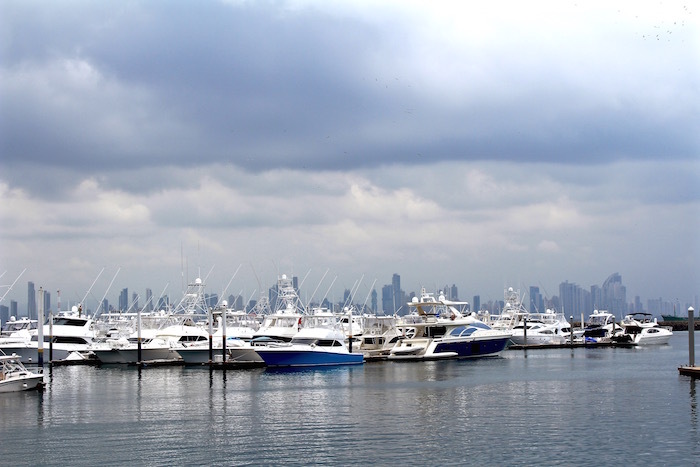 Panama City has a similar feel to a lot of metropolitan cities in the U.S. (like Miami) so I wanted to stay somewhere where I could experience something unique to Panama. 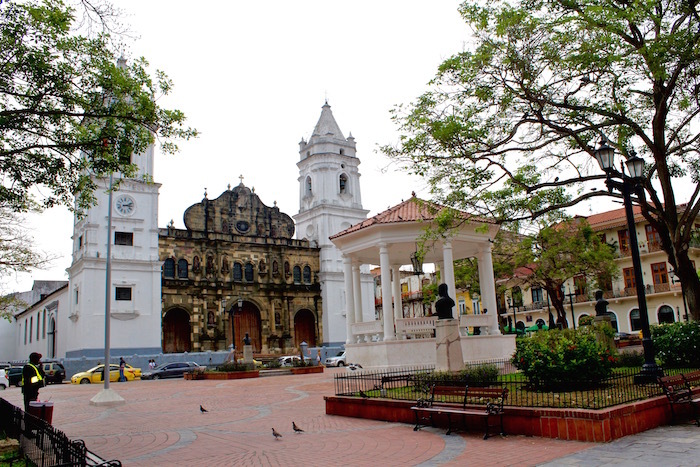 The answer – Casco Viejo – an adorable historic neighborhood just outside of the city. 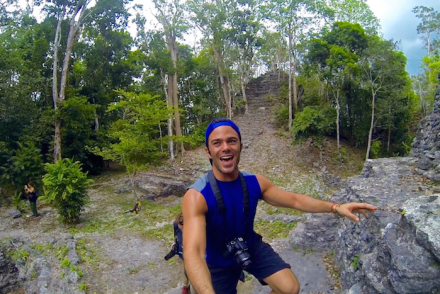 I stayed at one of the most popular hostels, Luna Castle and overall was happy with my choice. The hostel was full interesting young international backpackers, had a castle vibe and a cool underground bar. 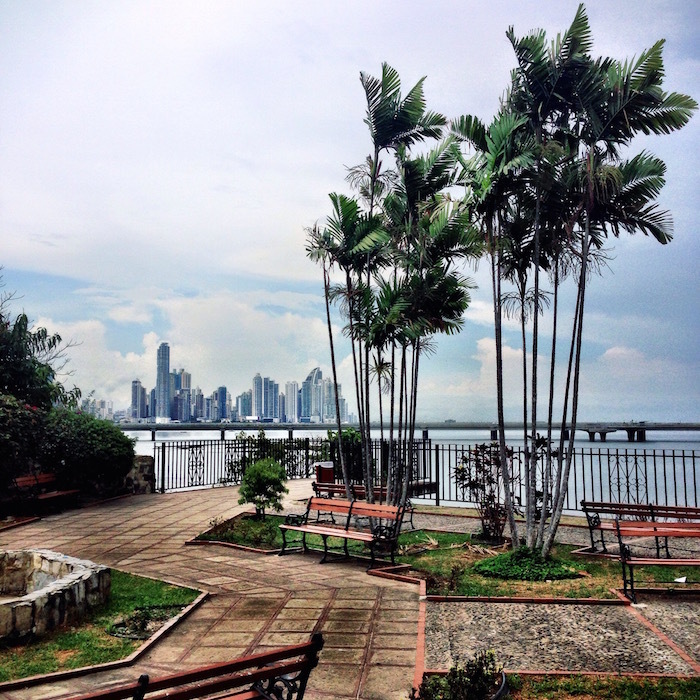 It’s great location allowed me to easily explore Casco Viejo’s historic architecture and gorgeous views of Panama City’s skyline by foot. 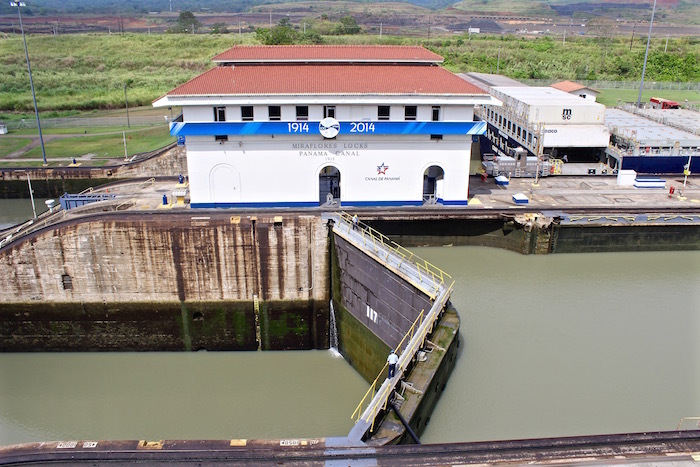 So what makes visiting the Panama Canal at the Miraflores Locks special? The science behind it. It’s remarkable to first think of the canal as a simple idea to connect two oceans and then it becoming a complex reality. 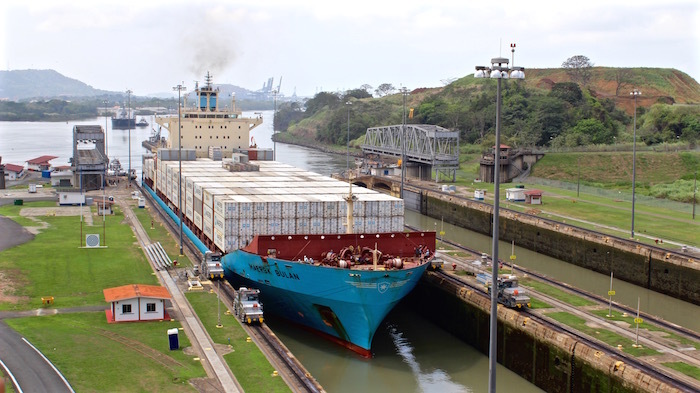 Watching huge ships barely pass through the locks – realizing many of them are designed specifically to fit – gave me a new appreciation for engineering-based solutions to problems. Usually when I’m traveling I am amazed by the power of nature over mankind, at the Panama Canal I was impressed by the complete opposite.